The Resound series enhances the iPhone’s music through natural materials. 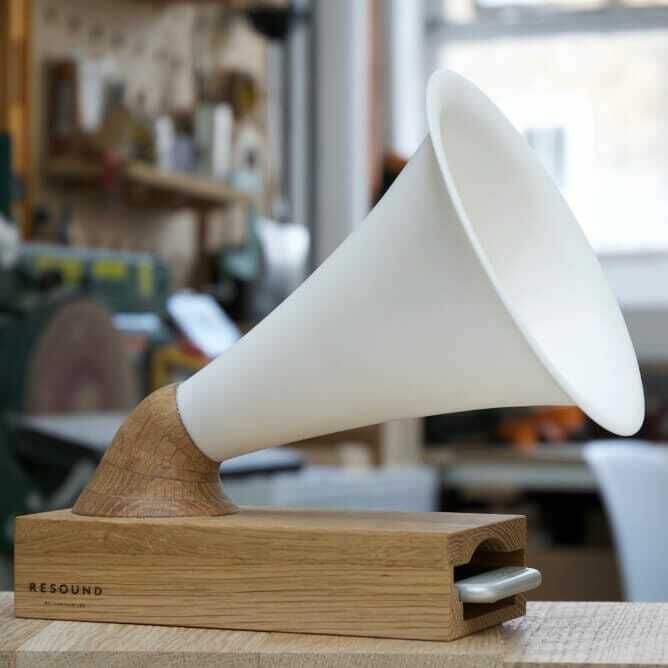 Connecting modern technology with the nostalgic style of the gramophone, the Resound series enhances the iPhone’s music through natural materials. 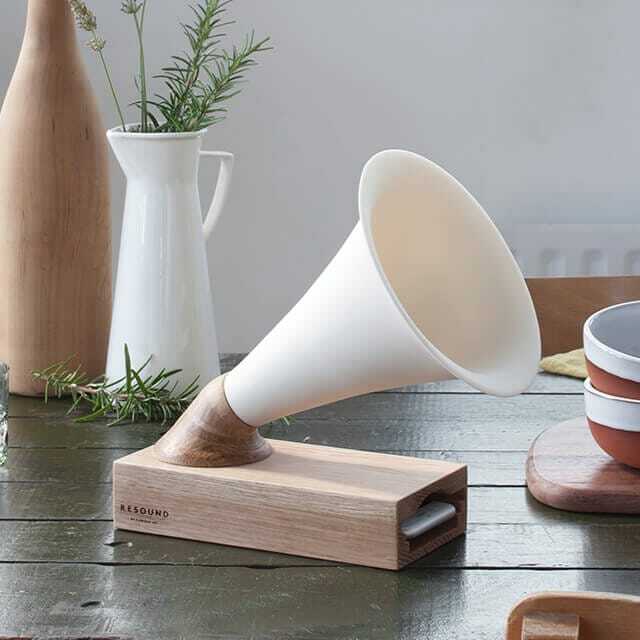 Amplifier No.2 — hand-crafted from ceramic slip and oak; organically transforms and projects an iPhone’s speaker system simply by placing the device into the amplifier’s slot. Resound is a series of organic amplifiers for iPhones by British designer Camilla Lee. Inspired by extensive research into the therapeutic use of music, Camilla created the amplifiers to put the warmth and interaction back into music listening. I am a London based designer/maker working in the field of furniture, lighting and sound. Whilst studying 3D Design & Craft at Brighton University, I developed a broad range of skills working with various materials. In particular favouring the aesthetics and organic sound qualities of wood and ceramic. Application of sound and pattern has become a recurrent thread within my work, linking themes of sound therapy, interaction and lines. Fusing functionality with unique aesthetic forms. I now work at Cockpit Arts in Holborn, London and have created the Resound collection. The Resound collection started from extensive research into music therapy and the way in which natural materials can enhance sound quality. From making xylophones from different timbers and materials, I investigated the natural sound tones. From this, I decided to use walnut as the main wood and parian ceramic. From playing with these materials I aim to enhance the electronic sound and visual aesthetic of the iPhone. To accompany the iPhone amplifiers I developed a way to visualise my synesthesia through artwork. By seeing colours when I hear sound, I develop a colour palette from a selected song and use the brushstrokes to represent accents in the music and the rhythm.